We consider each project that we design to be unique. Each application is considered based on need and how the customer will use the system(s). The decision regarding what equipment to specify is based on how that device will perform in the space and the ease of user interface. While we do have suppliers whose products we specify more frequently the final decision is based on how the device will perform in the specific application. Below are some of the primary suppliers we work with on a regular basis. For professional loudspeakers we prefer Renkus-Heinz cabinets. The design and quality of workmanship is unparalleled. To reach the company web site for more information click on the logo above. For professional power amplifiers we generally specify Crown by Harman. Long recognized as the top quality manufacturer of power amplifiers we consider them to be the manufacturer of choice for our clients. To reach the company web site for more information click on the logo above. 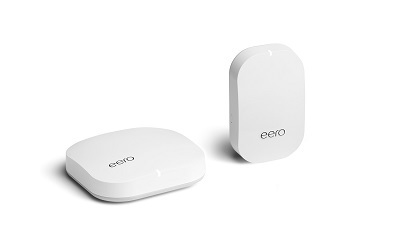 eero is a quality of mesh WiFi systems that simply work.